For those who are itching to play an MMO on Linux but don't want to pay a subscription, Albion Online just opened up the flood gates. 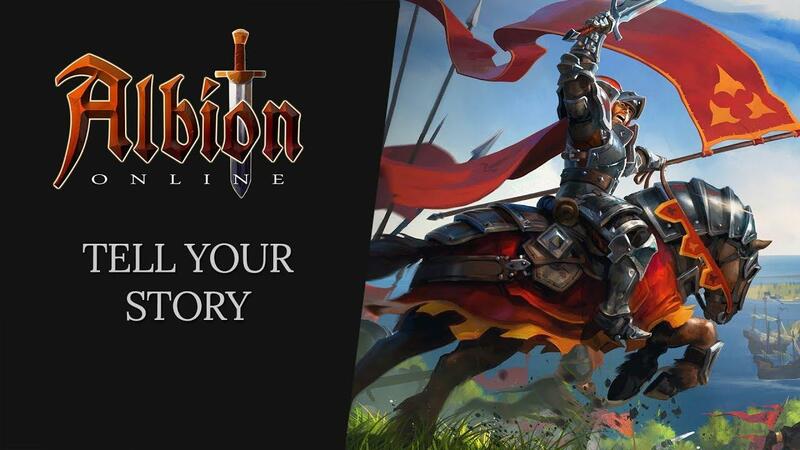 Unlike a lot of MMOs Albion Online doesn't have traditional classes, quests and it's very much a sandbox do whatever you want experience. It's a little odd and focused a lot on player versus player combat, although the recent Oberon update made improvements for PvE and there's a lot of features for bigger groups of players and Guilds. Worth noting that while it's free, there's still a premium subscription option which basically speeds up your progress in the game. This can be paid with real money or in-game money too which is quite nice but without it the game is pretty slow going. If the game becomes ridiculously busy, they will have a queue system with premium users given "preferential access". Today's free to play release also had a patch, find the notes on that here. If you want to see what they have planned for future updates, they also have a roadmap up here. You can get it directly from the developer or from Steam. It doesn't yet show as free on Steam but should do sometime soon. This makes me glad I didn't pick it up back then (I was thinking about it). Free to play has ruined too many games that I used to care about and I have yet to see one that doesn't go down the drain once it goes free to play. crumbles I have yet to see one that doesn't go down the drain once it goes free to play. Well, CS:GO seems to be going fine so far with hundreds of thousands still playing daily and concurrently. CS:GO might be an exception though. I think Minion Masters is also doing about the same if not better than it used to before going free to play. Conversely, Faeria went from free to play to buy to play and in my opinion got worse off from it because people who don't buy the new DLCs won't get those cards. They ended up splitting their player base (you still get matched up with people who have the DLC when you don't) and made it harder for you to counter certain opponents. They started releasing new DLCs almost every month and I (among others) quit due to it all. I don't know if they turned any of that around since then. Basically there is a risk either way you go, but if you do it right and at the right time then you profit from it, else it may be a big loss. Let's see where this goes with Albion. I once was about to buy this game and my inner patient gamer didn't make the call. I'm happy to be able to play now. There's tons of negative reviews about the game being a grindfest and antisolo but I'll try anyways. I hope this fits the itch of a grindy online RPG game. Raxe88 I once was about to buy this game and my inner patient gamer didn't make the call. I'm happy to be able to play now. There's tons of negative reviews about the game being a grindfest and antisolo but I'll try anyways. I hope this fits the itch of a grindy online RPG game. It is a grindfest and it really is horribly anti-solo. But I enjoyed it for around 30+ hours in the beta phase - the grind is kind of fun to be honest, and you can do much of your early grinding solo. You'll need a team for dungeons though, almost always. And later material collection in red/black zones, again, you'll need a team or guild backing you up. Not my scene. I had my fun, then archived it forever. Now it's free to play, you should dip your toe, risk free, and make up your own mind! Will be checking it out, tonight (hopefully). RPGs are my absolute favorite genre and I'm very happy to see more appear on Linux. crumbles Free to play has ruined too many games that I used to care about and I have yet to see one that doesn't go down the drain once it goes free to play. Yes and no. The biggest danger of pure F2P (not B2P) games is that they get designed from the ground up to be unfun, boring and tedious after the first few hours of trying them out - unless you pay up. Almost 100% of all mobile games are designed that way, which why I never play any. There are certainly some F2P MMOs falling in that category. The most famous case being SWTOR. There is like no way whatsoever you can play that game without still being subscribed to it and have any fun with it. Or Neverwinter (the Perfect World one, not Neverwinter Nights), which is also a good example of making people run into (pay)walls at every corner. However, I have seen several MMOs converting from P2P to full F2P that managed to do so in a fashion that still left the game in an enjoyable fashion even for players that spend very little or even nothing at all. Star Trek Online and Champions Online (funnily enough also by Perfect World) are very playable if you don't insist on having the absolute best available stuff at any time. Same goes for Rift. I didn't play it in a while, but for a while Skyforge was fun, too. IMHO the best middle ground in terms of business models is B2P, but as can be seen in the case of this game, it doesn't work so well for niche games (and while this chart is probably meant to demonstrate how healthy the game is, but 10k-20k players a day is pretty much the equivalent of "dead" as far as MMOs go). Guild Wars 2 and Elder Scrolls Online use the B2P model with great success, but both aren't exactly niche games (they measure daily attendance in hundreds of thousands, so...). The charm of B2P is that devs don't absolute HAVE to put annoying dis-features into the game and force people to buy them away, since they get at least some revenue up front from every player. How do I migrate my normal account to a Steam account? crumbles This makes me glad I didn't pick it up back then (I was thinking about it). Free to play has ruined too many games that I used to care about and I have yet to see one that doesn't go down the drain once it goes free to play. Hmm, I think SWTOR and ESO were still really fun after F2P. Last time I checked SWTOR, it was rather a demo with subscription, if you want to continue, than F2P. Honestly, I like subscription models most. F2P too often are/become slimy P2W (I view unreasonable grind as P2W as well). To be fair, how would you rate a game you downloaded, yet cannot play? IMO devs/publishers brought it on themselves. This was totally predictable.